It took a few hours to figure it out. Why were the ravens there, at that exact spot in the desert? They were at the end of a dirt road that began at the hospital. So we put out a late night call to one of the facility workers. What exactly did he know about a clutch of ravens abandoned in the wash? He abashedly explained that they had been roosting at the entrance of the hospital. The Health Safety Officer had deemed them a Health Safety Hazard and asked for them to be removed. Maintenance had at first resisted, but eventually caved in. Health Safety Hazard? Each morning young mothers trudge past that nest, their young toddlers in tow sucking on supersize bottles of soda and someone considers the ravens a health risk? Who’s out there tackling those young hominid mothers and dragging them out to the wash? My misanthropy ratchets up a notch. Ravens mate for life. They raise their young for upwards of two years. They possess a complex language and a fierce intelligence. They have strong social networks and can recognize individual humans and distinguish the friendly from the hostile. They can share this information with other ravens. 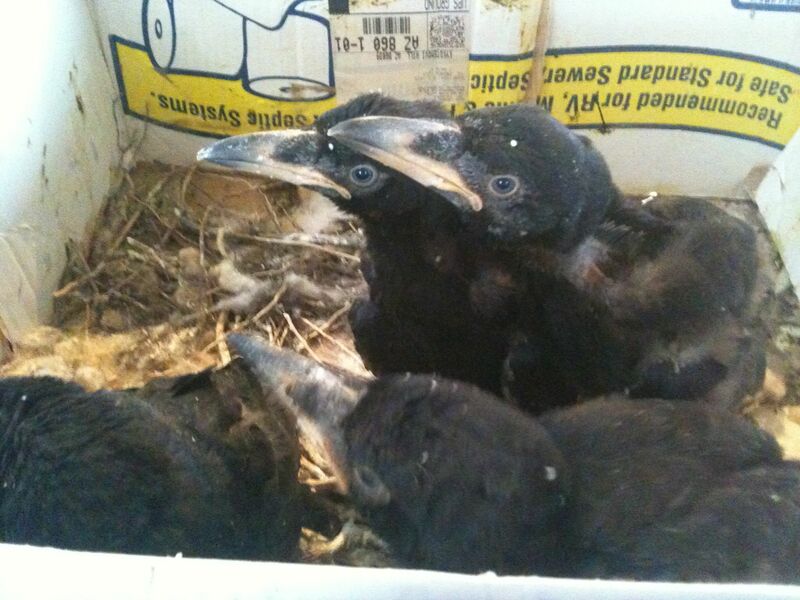 This entry was posted in Beings, Ravens and tagged Bernd Heinrich, Hopi Health Care Center, Ravens by Andrew Lewis. Bookmark the permalink.